Meaningful, beautiful patterns lie at the heart of good design. AMSC Research specializes in discovering the essence of these patterns by thoroughly exploring the color, patination and texture of ancient surfaces and objects. Our methods are innovative and carefully geared to create the rich and unusual visual effects that clients desire. 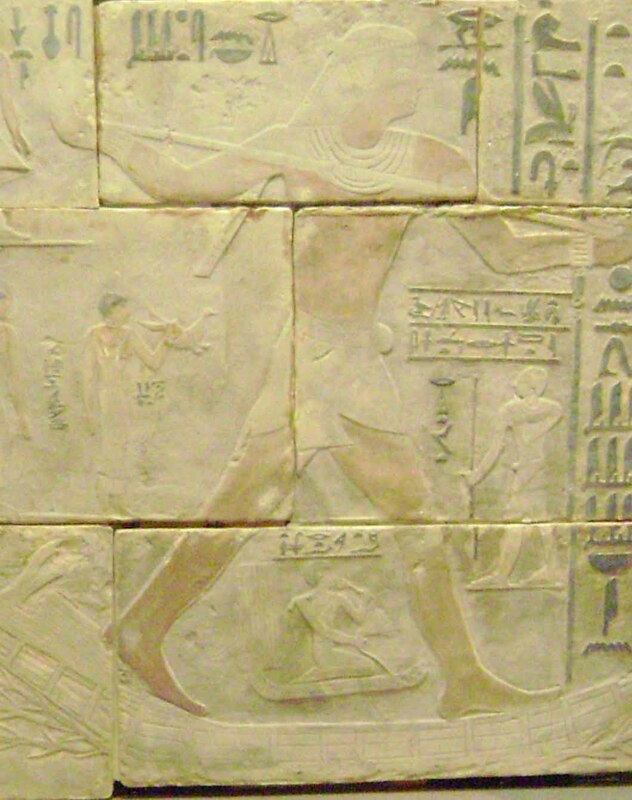 Because of our involvement in research relating to the world of antiquity, we have a broad perspective in interpreting how best to handle the construction of spatial meaning. For example, sculpture has long been removed from the visual language of our culture, or at the very least reduced in its vitality by the mass production of standard forms. As it turns out, however, it is extremely useful in solving spatial problems, and if properly applied, can quickly transform interiors into extraordinary spaces. We have achieved technical mastery in the production of original large format sculptural surfaces in durable materials. Our experience formulating surfaces expands the universe of choices available to designers. It is possible to produce original, one-of-a-kind works that will impress all comers. Tomb wall designed and cast in polyurethane by AMSC Research 96.0 inches x 90 inches ©Copyright 2015 AMSC Research, LLC. Planning is an integral part of compelling design and is critical to success before the first penny is spent on construction. This requires focus on what is to be achieved visually and the establishment of a correct scope for the project envisioned. For designs to be successful, attention must be paid to budget, but also to the value inherent in preserving the energy and morale of staff. These are factors not usually considered in connection with project planning. However, it is precisely these kinds of considerations which distinguish profitable shows from tragi-comedy. In a recent project, AMSC Research created a traveling exhibition covering 5000 sq ft and containing over 300 display objects. The entire complement of materials making up the show could be transported in a single tractor-trailer. No objects in the show were ever damaged, despite the fact that over a four-year period, coast-to-coast transport distances were involved. We have developed many valuable techniques for keeping interior displays easy to install while heightening their visual effect. 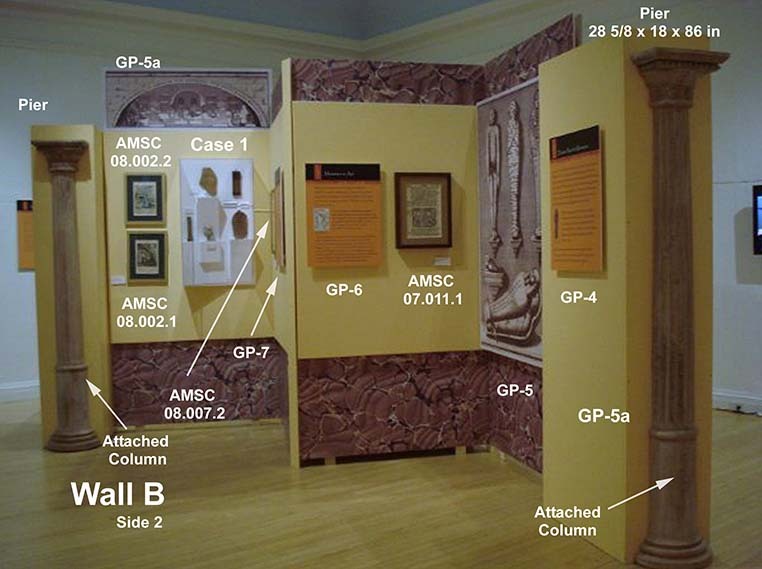 Handling visual scope: Sample exhibit wall ©Copyright 2015 AMSC Research, LLC. Let AMSC Research organize your exhibit ideas and facilitate the creation of visually attractive interior displays. To request a consultation, email us at: director@amscresearch.com.